About | Co.As.It. Community Services Ltd.
Co.As.It. 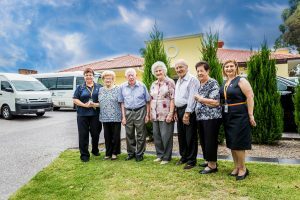 Community Services Ltd. is a peak body within the aged care and community services industry which has won recognition for high quality services delivery and excellence in care. Constant research, planning and improvement ensures that Co.As.It. programs and services are relevant, responsive and meet the diverse needs of its clients, especially those from CALD (Culturally and Linguistically Diverse) backgrounds. Funding made possible by the Australian Federal and State Governments enables the organisation to fulfil this important role within the community. Governance of the organisation is through a Management Committee accountable to the funding bodies for the administration of its programs. Its responsibilities include overall administration, financing, staffing and policy decisions for the Association. At a grass roots level, trained and skilled personnel meet the needs of the community through a variety of programs and services that are tailor-made to each individual. With 40 years experience in providing services to the CALD communities, Co.As.It. is well placed in being able to understand the needs of the person from a different cultural and language background, coordinate services with the family members and assign care staff that is aware of the client’s preferences, religious beliefs, special celebrations and regional culinary requirements. Often the care staff will speak the same language as the CALD client. Co.As.It. is constantly undertaking research studies that gather information on the difficulties and concerns of the CALD community member that may not be able to access mainstream services due to language barriers, feel isolated due to declining traditional networks, poor written and/or spoken English skills, lack of computer literacy, difficulty with transport and geographical dispersion or remoteness. This information is often used to seek Government funding for projects that will inform and educate the CALD person and establish support networks that will make a difference in their daily lives. The Italian Language Centre (ILC) is a division of Co.As.It.  Community Services and is actively involved in the promotion and teaching of the Italian language and culture for adults, primary and secondary schools students and younger children’s programs e.g. playgroup and after school hours programs.